Hydrasun produce a range of CALM Buoy to PLEM Umbilicals specifically designed and manufactured with bespoke topside and subsea terminations. 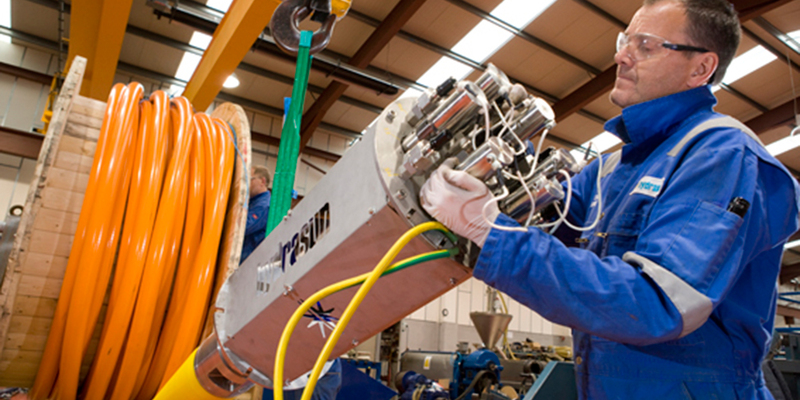 These umbilicals are used to activate the power and controls system during the transfer of fluids to, or from, the subsea pipeline and the tanker. The umbilical is installed under the buoy, between the PLEM on the ocean floor and the buoy turret. It is then piggy-backed to one of the under buoy submarine hoses. At the subsea PLEM end the umbilical is terminated in a Subsea Umbilical Termination Unit (SUTU). From the SUTU, individual jumper hoses will connect the umbilical to the PLEM equipment.